The Bellman Push Button Transmitter and Flash Receiver help to equip the home with enhanced visual alerts ideal for anybody with hearing difficulties. 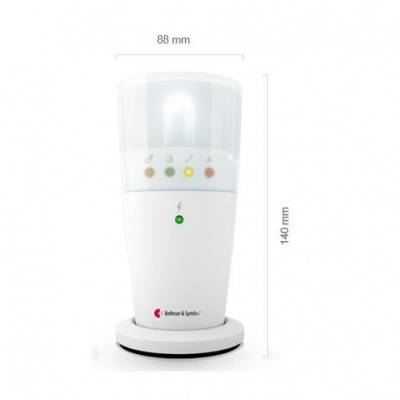 The Bellman Push Button Transmitter and Flash Receiver have been combined to provide anybody with hearing impairments with an improved method of receiving alerts in and around the home. While the Push Button Transmitter provides a suitable alternative to a traditional doorbell, the Flash Receiver enables individuals to receive enhanced alerts whenever a visitor arrives. 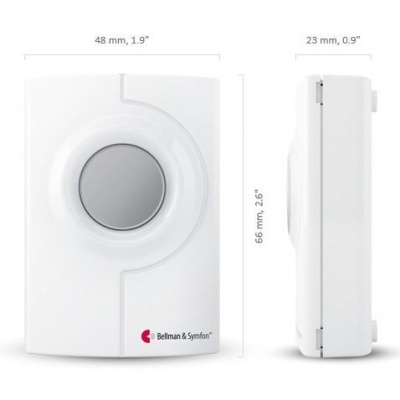 Bellman know that traditional doorbells may not be loud enough, so the wireless Push Button Transmitter has been designed to detect events in the surrounding area of the door. This will then transmit the alert to the Flash Receiver, and, as a range of settings can be programmed into the transmitter, individual alerts can be set up for different needs, ensuring a person of impaired hearing can always be aware of the activity of their home. The Push Button Transmitter can also be used as a personal alarm. It is suitable for wall mounting, or it can be placed on a smooth surface to ensure it can be located in the most convenient place around the home. The Flash Receiver uses radio signals to receive information from the transmitter. It delivers the information by emitting coloured lights for clear identification of an alert. The settings can be customised to distinguish between individual triggers for quick identification of which transmitter has been activated. The LED lights are multicoloured and easily identifiable, ensuring alerts can be received and acknowledged quickly and easily.